Dixie Insulated Paper Hot Cups - 16 Oz. Dixie Perfect Touch Insulated Paper Hot Cups 8 Oz. Dixie Wrapped Drinking Straws Red - 10.25 in. 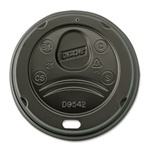 Dixie Dome Paper Hot Cup Lid Fits Black - 20 and 24 Oz. Dixie Dome Perfect Touch Lid Black - 16 Oz. Rite Wrap Dixie Interfolded White Deli Paper - 10 in. x 10.75 in. Dixie Plaid Food Tray Red - 5 Lb. Dixie Plaid Disposable Food Tray Red - 1 Lb. Dixie Plaid Disposable Food Tray Red - 2 Lb. Dixie Plaid Disposable Food Tray Red - 3 Lb. Satin-Pac Interfolded Clear Deli Film - 8 in. x 10.75 in. White 10 Pound Plain Carryout Carton - 6 in. x 9 in. x 6.5 in. Carryout Carton Fits Large Pizza Slice - 9.38 in. x 9 in. x 1.68 in. Ultra Heavy Weight Wise Size Pathways Paper Plate - 10.06 in. Pathways Wise Size Paper Plate - 8.5 in. Pathways Polycoated Paper Food Tray - 2 Lb. 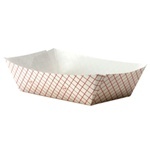 Pathways Paper Bowl - 12 oz. Pathways Paper Cold Cup - 5 oz. Pathways Paper Plate - 6.88 in. Kant Leek Pathways Paper Food Tray - 3 lb. Kant Leek Pathways Paper Food Tray - 1 lb. Perfectouch Beans Insulated Cup - 12 oz. Perfectouch Beans Insulated Cup - 8 oz. Perfectouch Coffee Dreams Insulated Cup - 10 oz. Pathways Carton - 10 lb. Pathways Paper Cold Cup - 16 oz. Quilt-Rap White Sandwich Wrap - 12 in. x 12 in. Quilt-Rap White Insulated Wrap - 14 in. x 16 in. Quik-Rap Grease Resistant Yellow Sandwich Paper - 12 in. x 12 in. Rite Wrap Dixie Interfolded White Deli Paper - 6 in. x 10.75 in. Jumbo Wrapped Translucent Straw - 7.75 in. White Polystyrene Heavy Weight Teaspoon - 5 in. Dixie Carryout Carton fits Small Pizza Slice - 6 in. x 7.25 in. x 1.25 in. Dixie Paper Hot Cup Simply White - 10 Oz. Dixie Paper Hot Cup White - 12 Oz. Dixie Paper Hot Cup White - 16 Oz. Dixie Paper Hot Cup White - 8 oz. Dixie Paper Hot Cup Dome Fits Lid - 10 Oz. 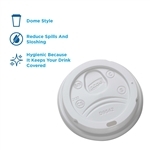 Perfectouch Paper Hot Cup Lid White - 20 and 24 Oz. Dixie Carryout Tray - 10.5 in. X 10.5 in. X 3.63 in. White Dixie Fork Medium Weight Polypropylene - 6 in. Dixie Medium Weight Polystyrene Black Fork - 6.5 in. Black Dixie Fork Heavyweight Polystyrene - 7.13 in. White Dixie Fork Medium Weight Polystyrene - 6.5 in. Kold-Lok Freezer Paper with Short Term Protection - 15 in. x 1100 ft.
White Kold-Lok Freezer Paper with Short Term Protection - 18 in. x 1100 ft.
Freezer Paper - 18 in. x 1100 ft.
White Dixie Knife Medium Weight Polystyrene - 7 in. Dixie Paper Cold Cup Lid - 32 oz. Dixie Paper Hot Cup White - 20 Oz. White Dixie Soupspoon Medium Weight Polystrene - 5.75 in. Black Dixie Soupspoon Heavyweight Polystrene - 5.75 in. Dixie Straw Red Giant Wrapped - 7.75 in. Dixie Heavyweight Polystrene Teaspoon Black - 6 in. Black Dixie Teaspoon Medium Weight Polystyrene - 5.88 in. Dixie Medium Weight Polystyrene White Teaspoon - 5.9 in. White Dixie Teaspoon Medium Weight Polypropylene - 5.75 in.